Lately, I've been a little accessory obsessed. I can't seem to have enough statement necklaces and my wrists seem bare without a stack of bracelets. I love how quickly accessories can pull an outfit together or change a look completely, which is why this DIY accessory is bound to be the first of many to come. 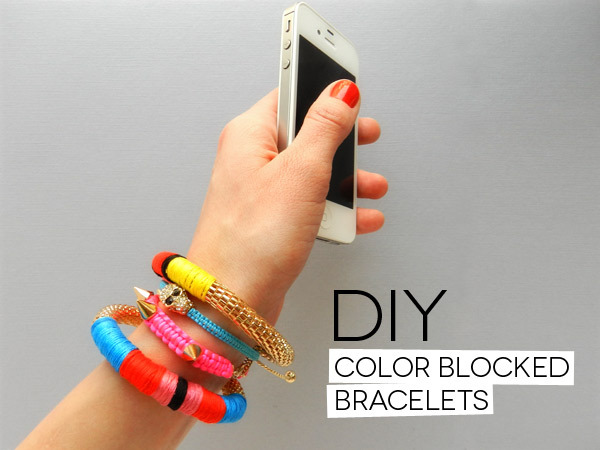 I've only worn these bracelets a handful of times, but have received so many compliments that I thought I'd share how easy they are to make yourself. 1. Start by deciding on the design you would like to make and add a drop of glue where you would like your design to begin. 2. 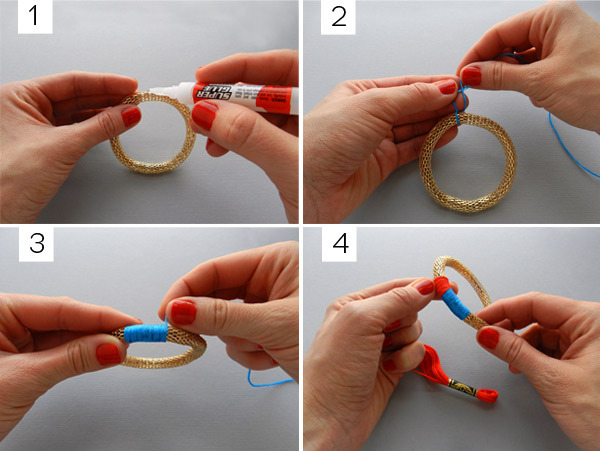 Knot your embroidery thread around the bangle making sure to cover your dot of glue in order to help hold it in place. 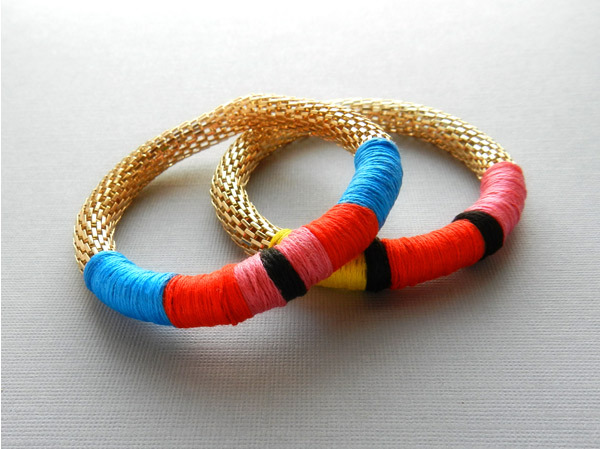 Once you have the thread knotted in place, let it set for a minute or two before you start wrapping the remainder around the bracelet. 3. Tightly wrap your bracelet with the embroidery thread, adding little drops of glue as you go to help keep the thread in place. Try to keep most of the glue near the inside of the bangle so it is not visible when it dries. 4. Once you've finished with one color, trim the excess thread and glue the end in place. Repeat steps 1-3 for each new color you add.